Annya camp ground ( between Drumborg & Hotspur) Located on Annya Rd. access via the Portland -Casterton Rd. at Drumborg 7.5 km from the Princess Highway. 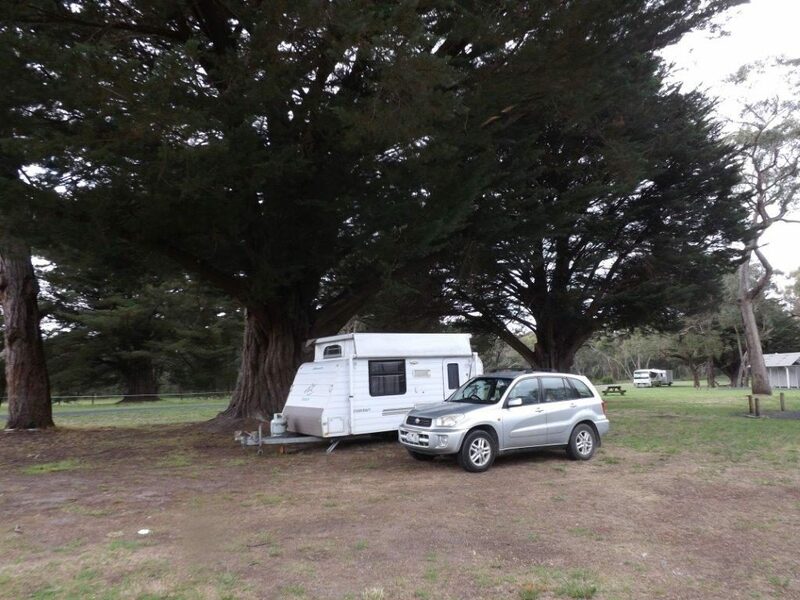 Large shady camp sites suitable for all types of camping including large motor homes. The area is packed with wildlife and bird life. A holiday delight. This campground is very spacious and has well grassed sites and plenty of shade. The sites are well separated from each other and wood BBQ’s and picnic tables as well as composting toilets are at the site. Dogs are allowed at the campsite but must be kept on a leash at all times. Warning do not park under the trees. Crawford River campground at Hotspur. A riverside level large well grassed campsite between the new and old bridge on the southern bank of the Crawford River. Open and surrounded by flat farmland. One large cypress provides good shade to a couple of sites. A row of gums provides some privacy otherwise open to bridge traffic. BYO firewood. Swimming jetty to the relatively broad and deep river. Set among the rolling hills an Western Victoria Dergholm State Park is a great place to picnic, bush walk,and enjoy nature. Located on the Naracoorte Road,Dergholm, access via Casterton. 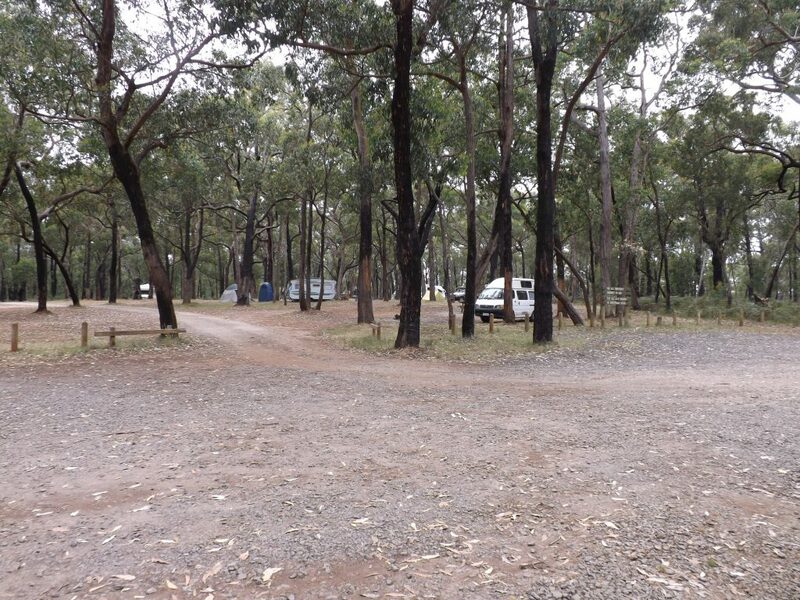 A large camp area suitable for all types of camping including large Motor Holmes. 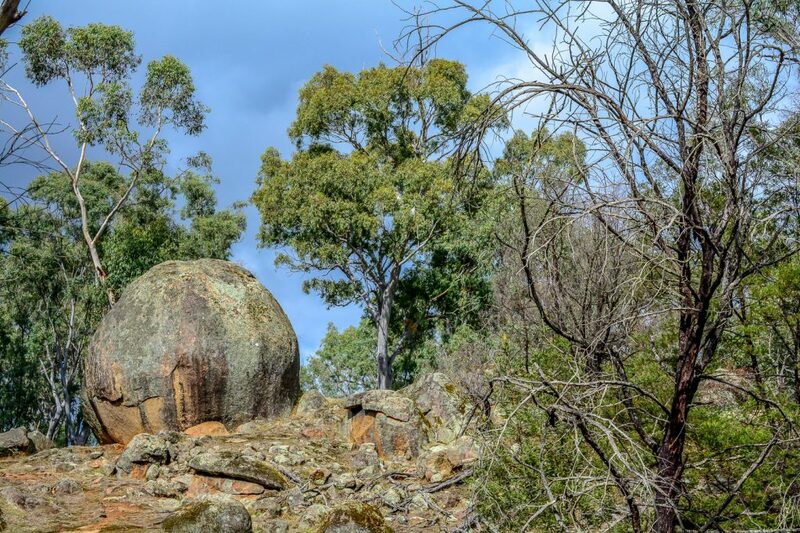 Access to a variety of walks and Baileys Rocks – an outcrop of huge green granite boulders that look like they have fallen from the sky. Four wheel driving.The campsite offers has toilets and water. Dry creek camping area is located 1.3 km past Donovan’s on the right hand side. 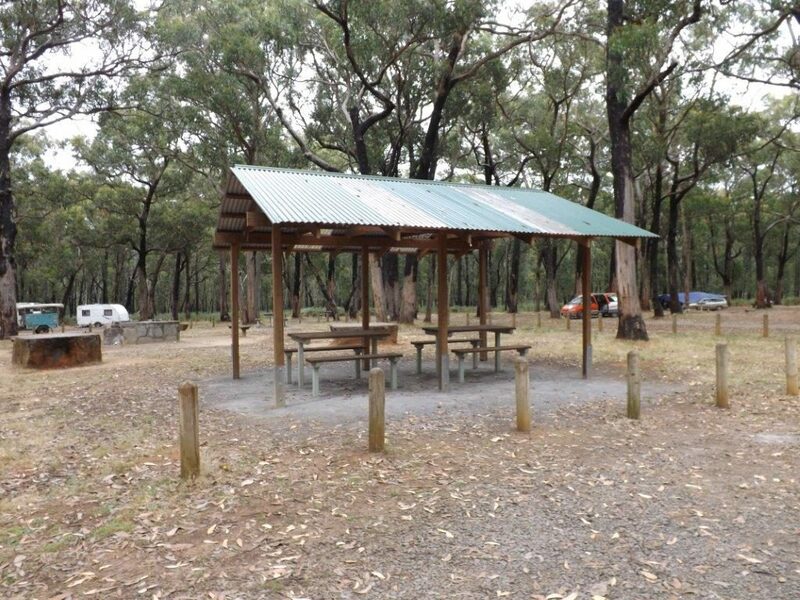 Dry Creek road leads to the camp site on the Glenelg River and has a flushing toilet, water and a free undercover BBQ and is a great area for fishing. Located on Thompson’s Road ( via Princess Highway) at Tyrendarra East An ideal spot for anglers,camp sites set on the banks of the Fitzroy River surrounded by coastal scrub. Suitable for all types of camping including large motor homes and caravans. Fees apply. ( approx $6 per site ) Collected daily on site, Short walk to beach. Located at the end of Greenham Street, Dartmoor is set on the banks of the Glenelg River. Large grassed area with plenty of shade suitable for all types of camping. Canoes and small water craft can launch into the river at this site. Keep a watchful eye for platypus which play in the river and local wildlife abound. A short walk to the centre of Dartmoor. 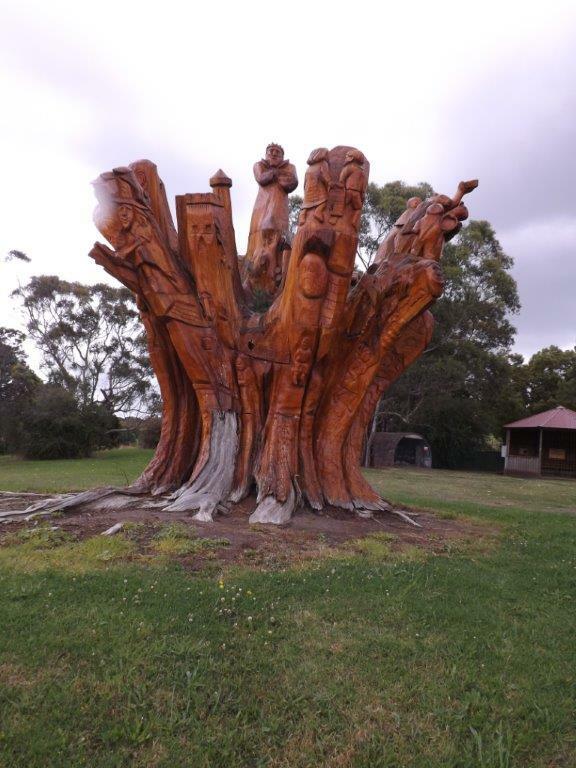 Tree carvings in a village green. general store. pub, public toilets, cafes and a shop. Located on Grubbed Road access via Glenelg Highway between Strathdownie and Casterton. The Wilkins reserve is well known for its spring flowers and is also home to Mill Swamp a large active body of water which contains many eels.